I haven’t been posting much in recent years, mostly because of the usual suspects, work, family and the like. I had a decent waterfowl season by the time January was over, but it was crappie season that I’ve looked forward to the most. Since my son was born, now three years ago, I’ve struggled to find time to hunt and fish as much as I used to, and I’ve found out that 90% of success is just getting out there and being plugged in to what’s going on. 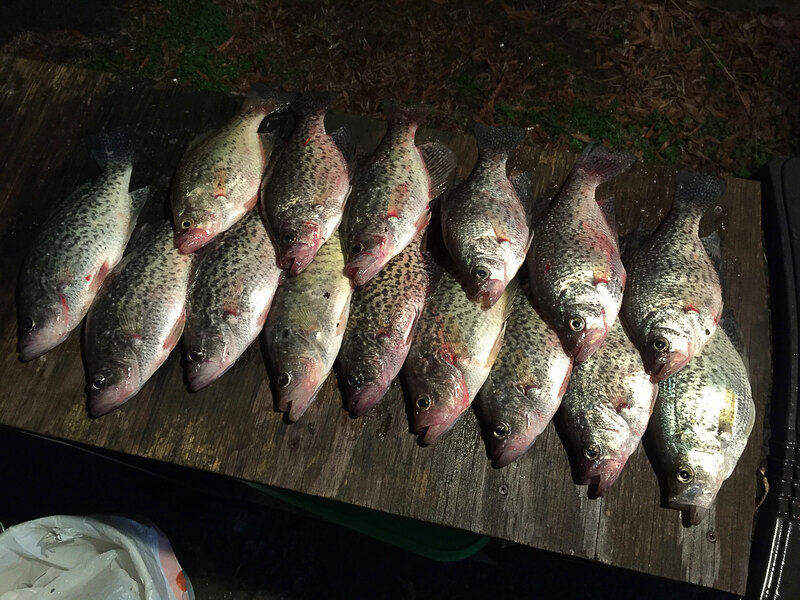 Crappie season is no different, and my success in the past has been closely tied to the spring spawn and knowing when and where to go get the fish. We have two fish frys every year that depend on a freezer full of fish from our crappie season. Even in a bad year, I manage to scrape up enough fish for these two gatherings, but I’ve learned enough over the last few seasons to really get the most out of my limited trips to the river. For sure, when the dogwood blooms just start to crack open, the crappie are biting here. Pay close attention to other signs, though. Probably the best indicator in the world, is social media. My fishing buddies start catching fish much earlier than the dogwood blooms each year. Yeah, they work pretty hard for them, but they catch limits as early as January. The fish are in different places that early in the year, but it’s tremendously helpful to track their progress in the weeks leading up to peak season.When we get into March, and linits are showing up everywhere, I start heading out to sample the places and style of fishing that I like to see if their into that pattern yet. It’s almost like having a journal. I look back at blog posts and Facebook images to see when I’ve had the most success. While I don’t always have a good record of weather, It does confirm year after year approximately when the bite is at its peak. Eventually I’ve come up with a pretty basic system to get the most out of the spawn and put plenty of fish in the freezer. My goal is to get out ahead of the spawn and when the number come up, I hit it hard for about two weeks or until I start to see the number tail off. There are surely as many techniques for catching crappie as there are ways to make a sandwich, but it doesn’t have to be so complicated. I have a nice tackle bag that takes 3600 size compartments. I have these compartments loaded for everything from Redfish to Bluegill and everything in between. When it’s time for crappie I have three 3600 boxes. One has hooks, another jigs and the third has floats. I even have an ultra-simple bag that hold four boxes just for crappie. I load the three boxes of crappie tackle along with pliers, forceps and lead split shot. A good ultra light rod and I’m ready to go catch fish. It’s really all you need unless you want to take it up a notch, but with a basic kit and a place to go, you’re in the money. I’ve added and modified my game over the years to make crappie fishing productive and easier, but even with the added goodies, it’s still pretty basic. I have a 17 foot aluminum boat and a 12v trolling motor. I use an old Eagle fish finder with the transducer on the trolling motor to find schools and track depth. I would tell you that you don’t need one, but for chasing crappie, it’s worth the extra effort and cost to get basic electronics on your rig. I have a small assortment of green neon lights that alligator clip onto the battery posts. Speaking of batteries, I take two. One for trolling and one to powder the depth finder and lights. For light, I use an old Coleman propane lantern that has a steel mesh globe (can’t break it) and an extra set of mantles at all times. I have a ten dollar brass adapter that lets me refill 1# bottles of propane and keep 2-3 in the boat with the lantern. Throw a headlamp and a bag of chips in and I’m about set. I use a 25qt Yeti both as a seat and as a fish box and a standard minnow bucket with an aerator for bait. It sounds like a lot, and it can get to be a hassle, but if you can keep most of it in the boat, it’s not too bad. 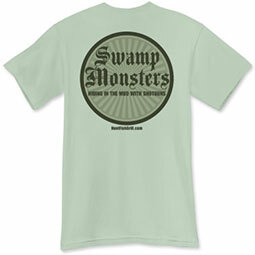 I start my typical outing by dragging a jig across the depths in and out of the channel in the areas that I fish. I’m basically looking for schools and getting settled while I troll around. I’ll throw a minnow into tree tops and structure and sometimes drift at various depths to see what I can figure out. Early in the spawn, most of the fish that I catch are more scattered. As the spawn peaks, I catch the higher numbers of fish in areas that bottle neck and concentrate the fish in a more predictable way. even at peak season, it’s a constant adjustment in depth and presentation. I try to use as little weight as possible, but sometimes you just have to get the bait down there at all costs. This year has been typical. I started out with one keep on a long cold evening. Next trip was even colder, but with six decent keepers. My third trip out, was milder and despite a very slow start, after 9pm I hammered out most of a limit of nice fish before getting cold and tired and shutting it down at midnight. Based on past experience, the next week or two will be good. I’ll keep hitting them in my spots until it slows down, and then I’ll start looking for bluegill. 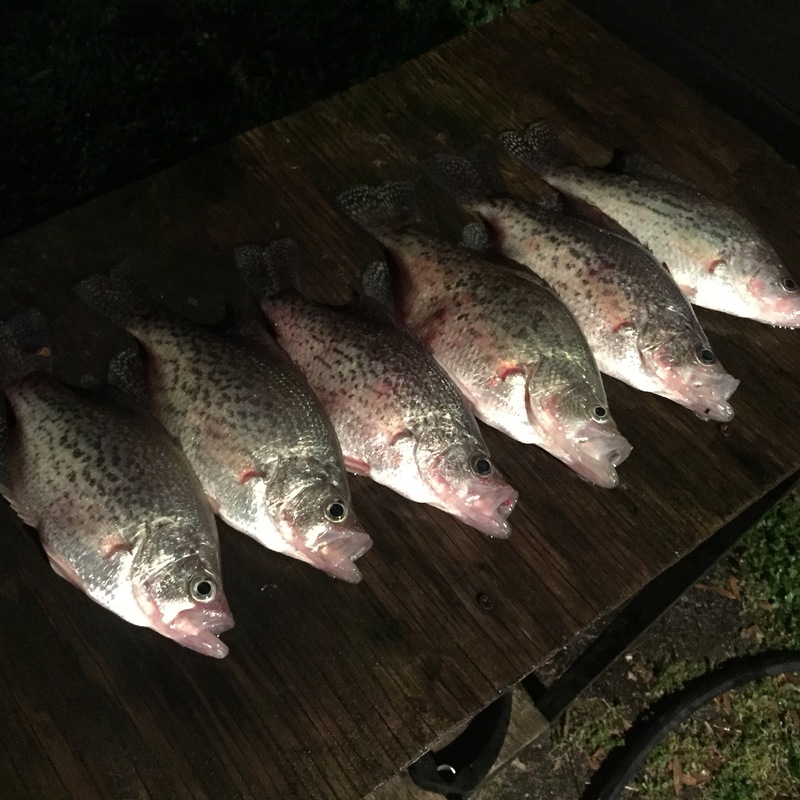 The point is, that you don’t need much to enjoy crappie fishing, and that a basic approach with some attention to the spawn cycle can make it easy to load the freezer year after year. My methods are pretty basic, and i don’t have near as much time to pursue them as I used to, but a few more trips and I’ll have 100+ fish fillets ready to fry! Third time out in 2016, and we’re in the money. 11 fish all over 11 inches. Limits from here on out! Well I’ve managed to get out twice for crappie this year. In recent years it just seems like the crappie have gone bananas in our waters and after a fairly weak run at the bounty last year, I’ve hunkered down to fill the freezer better this year. My first outing three weeks ago was perfect. The temps had crept up into the low seventies and as soon as I saw that everyone else was consistently catching good fish I went after them. 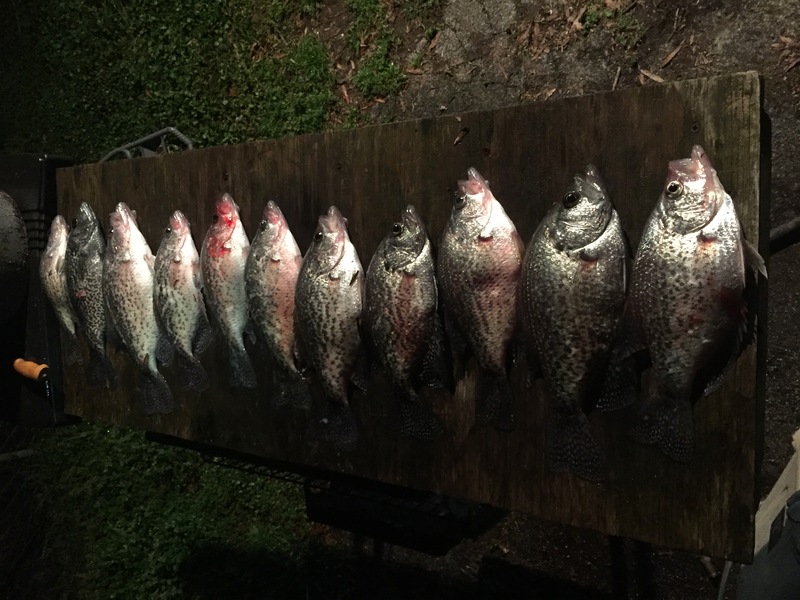 It was a solo Sunday evening trip and I had little trouble filling my limit, culling only four fish. I could tell that even though the bite was good and the fish were keepers, we were barely in range with water temps. I fished jigs until dark and switched to live bait when the sun went down. Of course the very next weekend I set out for a repeat performance, only this time I brought another angler to back me up. Temps dipped during the week and while I was a little worried about it, I had to go. We fished hard from 5pm until after 1am culling dozens of fish and keeping only nine. The water temps were just down too much and the bite was very lethargic. The good sign was that there were way more fish on the finder than the week before. This last weekend temps dipped way down below average, so I left it to the pros. Fortunately the low temps were short lived and I’m seeing great posts of crappie catches this week, already. So hopefully we can make another good strong run or two before they start spooling down post-spawn. My guide buddy Richard Simms has absolutely been hammering crappie for a few weeks now and serves as a pretty good indicator of bite activity this week. Granted he does it for a living and all-importantly gets out on weekdays, you can see in his and others successes that it’s another strong year for crappie in Tennnessee Valley. Christmas eve has pretty much turned into a mad scramble to get all the presents and all of us successfully to my parent’s house. 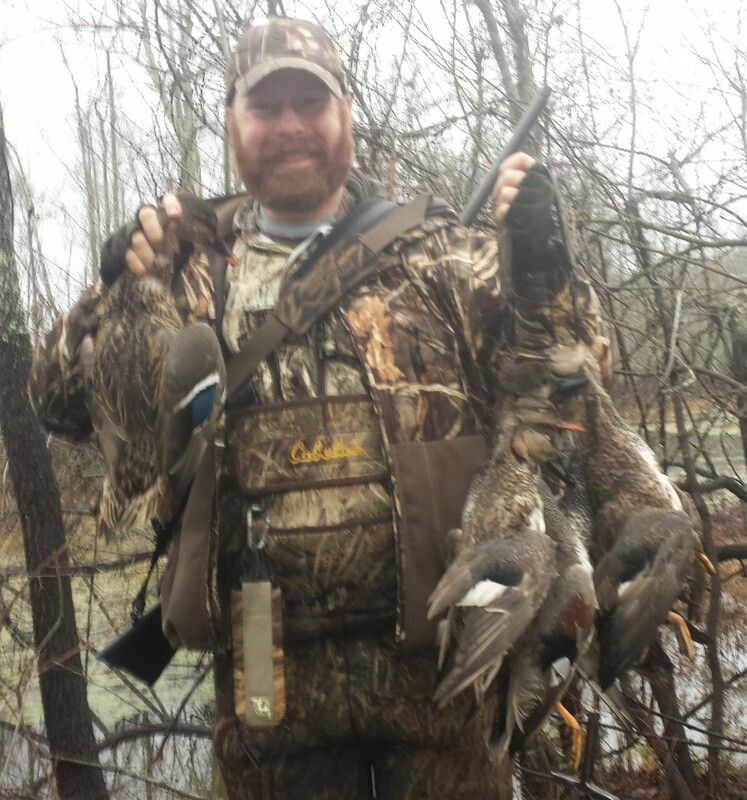 So when I got the call from my old friend and mentor to squeeze in a quick hunt the night before, I squirmed a little at the thought of making a day like that even longer. The flip side is that surely the hunt would see some ducks down on the water, so it was a pretty easy call. Duck hunters like being tired wet, right? We walked into what we consider one of the toughest areas to get to there is. Of course, the weather patterns had shifted so that it was raining sideways the whole time and the water had come up the better part of a foot, to boot. The heavy weather had the birds driving deeper into the swamps than normal, but we had several takers. Ironically the weather that had this are fired up was working against us a little driving birds hard to the side as they tried to stage to get down on our decoys. We didn’t leave much on the table, as most of the birds that got down over the decoys were dropped, but there were a few more volleys that couldn’t quite relax and get down out of the heavy winds successfully. The larger circling flocks further back in the timber added to that indecisiveness on their part, to be fair. We didn’t get our limits, but slightly less wind and we had it in the bag. In the end I got home mid-morning soaked completely through every stitch of my gear, with a pile of ducks to clean before heading off to see what Santa had going on in Alabama. I squirmed at the idea of cramming a hunt in where it didn’t belong, but I sure was glad I did! Nothing special here, just a nice cruise down the river on Saturday afternoon.